195 days/12 Month Position; Salary is dependent upon experience. 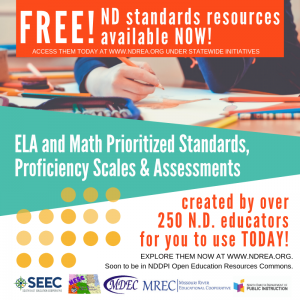 The Northeast Education Services Cooperative (NESC) is a North Dakota Regional Education Association with a membership of 22 public, private, and tribal school districts with headquarters in Devils Lake, North Dakota. This position will be responsible for preparing and delivering professional learning experiences to the NESC member schools’ staffs and NESC’s 21st Century Community Learning Center staffs. He/she will model high-quality instructional practices for educators, providing meaningful connections between regular school day and extended school day sessions. Design and implementation of student activities and events including, but not limited to, project-based learning, STEAM, emerging technology, and career/college readiness initiatives will also be part of the responsibilities. Additionally, the Student Services Specialist will expand quality implementation of school and agency resources and engage community partners in student learning opportunities across NESC schools. Travel is required for this position. For more information about the NESC visit www.nesc.k12.nd.us. Education: B.A./B.S. Degree in Education. Master’s degree preferred. Experience: 3-5 years’ experience in curriculum and instruction and able to work with a variety of K-12 school personnel and students. Action-oriented, entrepreneurial, and innovative approach to service delivery. Excellent customer service and interpersonal communication skills. Able to effectively collaborate with diverse groups. Strong presentation/speaking skills. Can develop and deliver effective small and large group presentations to student and adult learners. Effective instruction and leadership of students. Submit the following to the NESC c/o Jennifer Carlson, Executive Director. The 2018-19 NESC Professional Learning Workshops are now open for registration! Read HERE to learn about NESC workshop opportunities! Click the image to begin the registration process! Stay up-to-date with the latest NESC, Lake Region Teacher Center and North Dakota happenings with the NESC Newsletters! 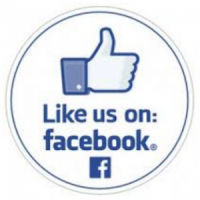 Like the NESC on Facebook! Stay connected with the Northeast Education Services Cooperative! Keep informed of event announcements and highlights, education news and other exciting, NESC happenings!